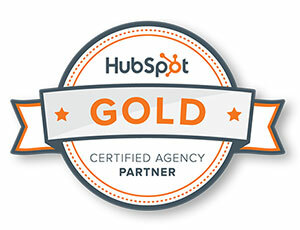 San Francisco, Calif: Today, Palmer Ad Agency announced that it has become a Gold-tiered Certified Agency Partner with HubSpot. HubSpot, a leading CRM, marketing, sales, and customer experience platform, works hand-in-hand with Agency Partners to grow their businesses through inbound software, services, and support. Over the past year, Palmer Ad Agency has grown its business by incorporating inbound strategies to attract, engage, and delight customers. Palmer had worked with HubSpot as a Marketing Agency Partner for a few years, but with the hiring of Adam Wiggins as Director of Marketing Solutions in August 2017, we’ve moved to Gold Tier Partner status, an accolade that acknowledges that Palmer not only brought the inbound message to a great number of clients, but also executed inbound marketing services to the highest standards. Helping Sun Green Systems achieve a sales pipeline of $38 million less than 2 years and increasing email open rates to 30%, significantly above the solar industry average of around 20%. Working with Rare Parts, to maintain 100,000 visitors per year, while increasing their conversion rate by 45% from 2016-2017. Optimizing New England Clean Energy’s paid advertising initiatives to increase conversions from 8% to 25%, while the industry standard is 10%. At Palmer, we don’t believe talking to customers is enough. We need to listen, educate and delight. We specialize in creating custom ecosystems of complimentary media and messages that get immediate results while building strong brands. Without a solid brand, you don’t engage. Without a solid offer strategy, you don’t generate leads. For 29 years, we’ve offered a full-service, 360-degree approach to your marketing challenges. We push. We pull.  We uncover your unique attributes and display them in relevant and compelling ways. Our distinctive, multi-disciplinary process helps you reach your immediate and long–term goals. This article originally appeared on: Crossroads Today ABC Newscenter.